A Facebook picture of Chris Thompson. UPDATE: The family has posted on Facebook that Thompson has been found safe. 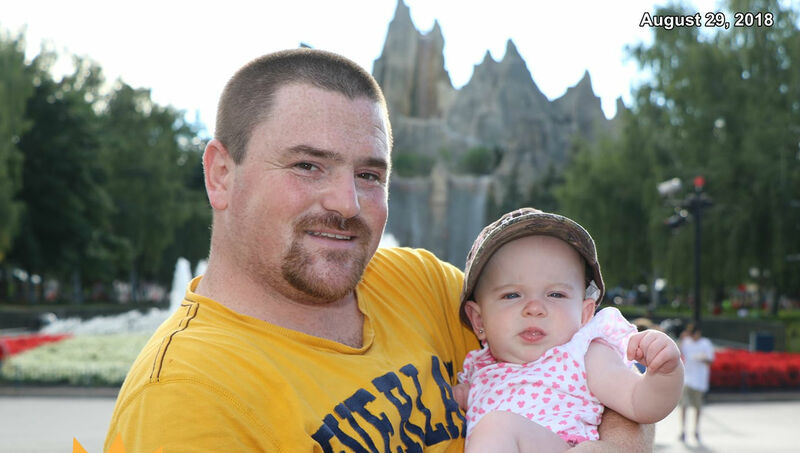 The family of a missing Fenelon Falls man is asking the public’s assistance in finding him. Chris Thompson has not been seen or heard from since the start of the week. 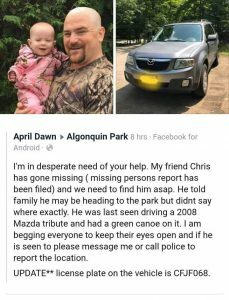 He was at the family’s Fenelon Falls cottage and spoke to his sister Nadine by phone on Tuesday afternoon. Chris Thompson, 35, is described as 5’ 4” tall and weighs 180 lbs. He has an owl tattoo on his upper left forearm and a purple square tattoo on one of his calf muscles. He was last seen wearing grey sweatpants and a white t-shirt, though he may have changed into bright yellow shorts. Thompson’s car is a 2008 Mazda Tribute, grey in colour, and Ontario plate with marker CFJF 068. Kawartha Lakes OPP is leading the investigation. If you have any information about Chris Thompson’s whereabouts you are asked to contact the detachment at 705-324-6741 or call Crimestoppers at 1800 – 222- TIPS (8477).